Location Advice to Owners and Occupants. 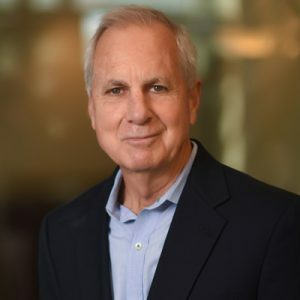 Allen Buchanan joined Lee & Associates Commercial Real Estate Services, Inc. – Orange in 1984 after five years in the consumer goods business with Procter and Gamble Distributing Company and the E and J Gallo Winery. 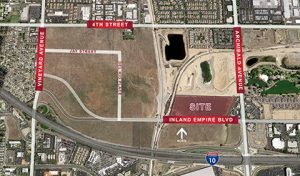 Mr. Buchanan has spent his real estate career in the industrial arena in North Orange and West Riverside County. His specialties include user representation, owner representation, and investment sales. Mr. Buchanan became a shareholder in Lee & Associates Commercial Real Estate Services, Inc. – Orange in 1988. Mr. Buchanan is continually recognized as a Top Five Producer of the Orange office over the last 32 years. 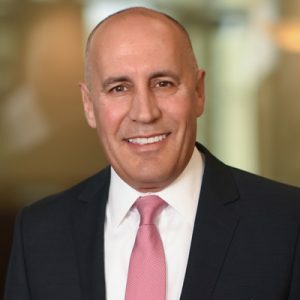 Craig DeMiranda, born and raised in Southern California, the son of a local real estate entrepreneur began his career working for Coldwell Banker Commercial in 1985. 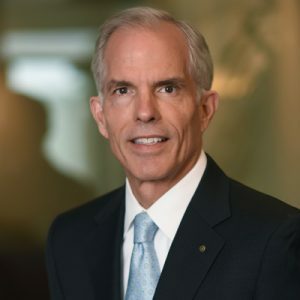 In 1999, Craig was recruited by the Trammell Crow Company, where he continued providing “Best in Class” Commercial Real Estate Service, and was appointed to Senior Vice President. 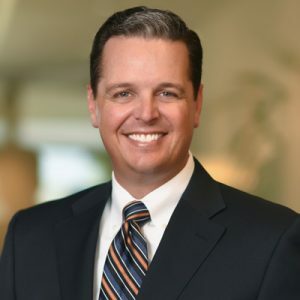 In 2007, following the CB Richard Ellis acquisition of the Trammell Crow Company, Craig moved forward in his real estate career, becoming a Principal in the Lee & Associates Commercial Real Estate Services, Inc. – Orange, Inc. office. His real estate practice continued to grow by focusing on advising and transacting commercial real estate ventures. 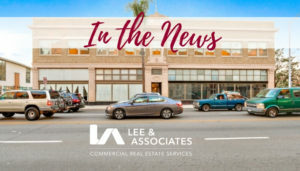 He has been recognized as a top producer in the Lee – Orange office year after year, including recognition from the Irvine Company as Broker of the Year. Over his 33 year real estate career, Craig DeMiranda has successfully and efficiently completed transactions with consideration in excess of $1 billion dollars. 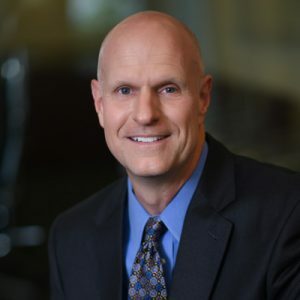 Craig’s strengths include multi-market transactions, with an emphasis on “Best in Class” service, and providing a systematic approach to his clients. This background is a tremendous asset for clients looking to create value through a controlled process to institutional users as well as to private landlords, sellers and investors. He is a licensed real estate broker in California, and he lives in Newport Beach with his wife and three children. 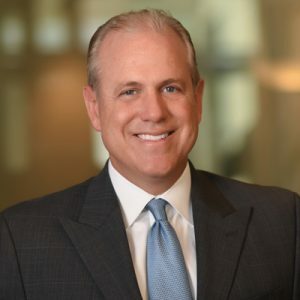 David Williams is a Principal of Lee & Associates – Orange, Inc., a full-service Commercial Real Estate Company and a member of the Lee & Associates group of companies. David’s Expertise includes: Property Valuations, Market Analysis, Property Marketing, Transaction Structuring, Sale/Leaseback, Leasing and Sales. David has been specializing in commercial real estate in Orange County since 1989. He has worked with the Lee & Associates Orange office as an industrial and investment specialist for over 20 years, since 1997. He is a consistent Top Five Producer and was the number one agent for 2001 and 2007 company-wide. He was the number one industrial and investment agent for 2009 and 2017. He is the number one Industrial agent over the past 5 years. He has successfully completed over 1,000 transactions in his career. David graduated from Cal Poly, San Luis Obispo in 1989 with a B.S. in Business Administration / Marketing and a minor in Psychology. He attended Servite High School in Anaheim and has been a resident in Orange County for over forty years. Marshal J. Vogt is a Principal with Lee & Associates- Orange, Inc. and one of the founding brokers of the OfficeAdvisoryGroup.com. 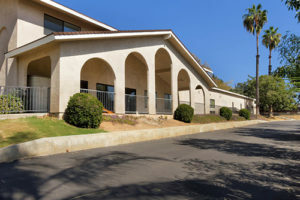 He and his team specialize in the representation of landlords, investors, users and tenants with the leasing, repositioning, selling and purchasing of office and medical buildings within Orange County and the surrounding markets. 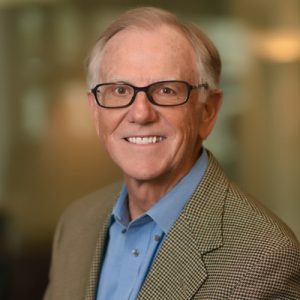 Born and raised in Orange County, Marshal has a lifelong history with Lee & Associates as his father, John Vogt, was one of the original partners of the first Lee & Associates office and the original managing partner of the Orange office. Marshal takes the utmost care to ensure his clients are aware of the current market conditions and offers a hands-on approach to ensure each transaction is carried out to the end. He demonstrates a strong work ethic focusing on the specific needs of his clients and creatively uses all tools available to manage assignments effectively. 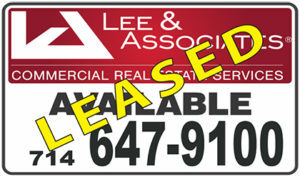 Marshal joined Lee & Associates-Orange, Inc. in August 2006 as an associate and became a Principal in January 2011. 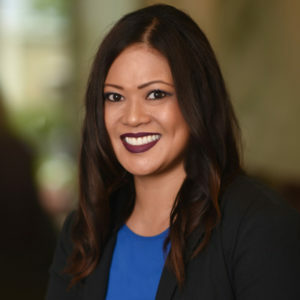 Prior to Lee & Associates, Marshal began his real estate career with Westbridge Realty Advisors in Long Beach, California as a marketing research associate focusing on the trends and transactions of the office market. 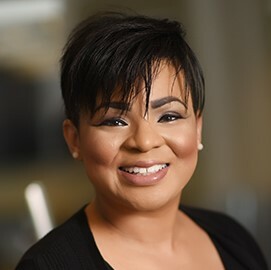 Marshal’s prior professional career includes over eight years of experience as a private business owner with success in the Software Consulting, Catering and Event Planning industries. He is responsible for the start-up of three companies with direct contributions to all stages and facets of business operations and development. Phillip DeRousse is a Principal with Lee & Associates Commercial Real Estate Services, Inc. -Orange. 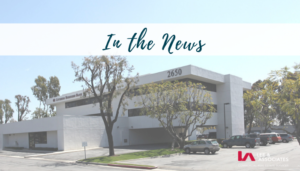 For over a decade, Phillip worked for the City of Santa Fe Springs, where he specialized in the Conditional Use Permit and Regulatory Permit process. Phillip is a market expert in Industrial Real Estate in the Mid Counties area, including Cerritos, La Mirada, Santa Fe Springs, Norwalk, Downey and Pico Rivera. The scope of Phillip’s work includes working with industrial building buyers, sellers, landlords, and tenants in the Mid Counties market. Born and raised in Whittier, Californi, Phillip has a great advantage with his familiarity of the market. Phillip is a graduate of Whittier College. 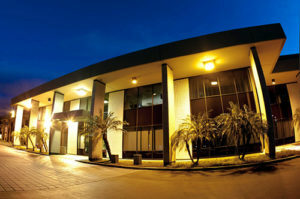 Air Sea Packing Group, Inc. 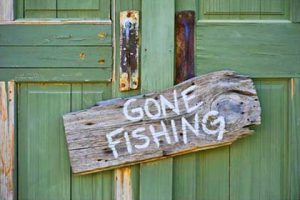 When there are no more fish in the fish market, Go fishing! John Son joined Lee & Associates as a Principal in 2008. Mr. Son has been in commercial real estate for over 28 years and currently advises clients regarding owner/user industrial, office and investment transactions as well as land sales and development transactions. Mr. Son is involved with many in-fill development projects and has expertise and familiarity with the entitlement process and feasibility studies for different types of developments. Prior to joining Lee & Associates, John began his career with Coldwell Banker in 1990. He has an outstanding track record of successfully taking transactions to closing and a reputation for integrity, diligence, and professionalism. Mr. Son is fluent in English, Korean and intermediate Japanese. He has maintained excellent business relationships with banks, developers, cities, and investors. 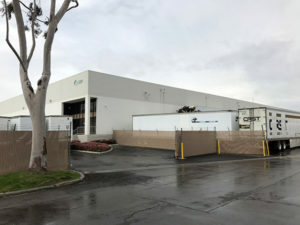 Christopher J. Destino, of the Destino Industrial Team, specializes in Industrial properties in the Southeast Los Angeles and North Orange County marketplace. His professional services include – but are not limited to – Industrial Property Consulting and Advisory Services; Seller & Landlord Representation; Buyer & Tenant Representation; Purchase/Sale vs. Lease Analysis; and Investment Property Evaluation. 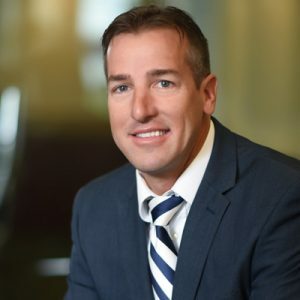 After joining Lee & Associates in 2008, he quickly established a proven track record of successfully closing a variety of transactions, both large and small, with his clients. No matter the size or complexity of the project, he has demonstrated his ability to help his clients succeed in completing their goals. LN Curtis & Sons, Inc.
United CA Freight Solutions, Inc.
Four Seasons Apparel USA, Inc. Specializing in sales of user and investment properties since 1990. Successful completion of over 1,500 transactions. Designee, Certified Commercial Investment Member (CCIM) Prudential Real Estate Referral Network. CCIMs are considered the elite of commercial real estate, sharing a set of skills that puts them far ahead of the competition. The CCIM designation is granted by the Commercial Investment Real Estate Institute (CIREI). CCIMs course topics include financial analysis for commercial real estate, commercial brokerage, advanced techniques in sales and marketing, market analysis, tax planning, decision analysis, negotiation, presentation skills. Johnny Eubanks began his commercial real estate career in 1981 following 2 years in residential real estate. Johnny was born in the City of Orange, joined Lee & Associates – Orange, Inc. in 1986, and is currently a Principal/Shareholder. Johnny specializes in investments, user sales and lease transactions, with an emphasis in contract negotiations, preparation and analysis. Johnny has an extensive knowledge and hands-on experience in asset positioning, development and marketing industrial buildings and business parks. In addition, Johnny provides various consulting services to his clients, enabling the client to view all possible options in any given scenario. Jonmark Fabiano has represented regional clients in the leasing and acquisition of real estate facilities throughout Southern California. The majority of his work has been in leasing office space ranging in size from 5,000 to 100,000 square feet. 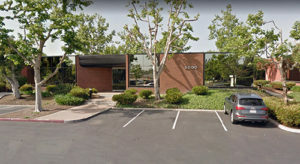 Mr. Fabiano has completed over 220,000 square feet of office leasing and sales in Central and South Orange County, as well as over fifty separate real estate transactions totaling over 10 million dollars in the last year. Jonmark Fabiano joined Lee & Associates Commercial Real Estate Services in 1998 as an Associate in the office leasing and sales division. Mr. Fabiano was appointed Partner/Vice President with the Orange office in 2003 after being one of the top five producing office specialists in 1998, 1999, 2000 and 2002. Mr. Fabiano holds a Bachelor of Arts Degree from Loyola Marymount University. While in school, he competed nationally as a member of the Lacrosse Team, and received multiple academic and athletic awards. 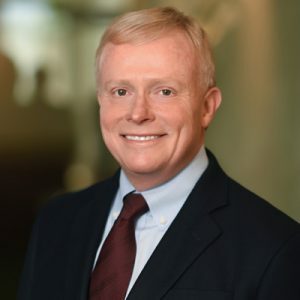 Jim Hawkins started his career in commercial real estate with Ashwill-Hawkins in 1989. 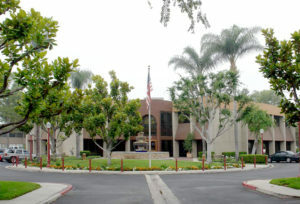 His primary focus is commercial office building in Orange County. After four successful years, Jim joined Lee & Associates® as an Associate in 1994 and gained partnership status in 1998. 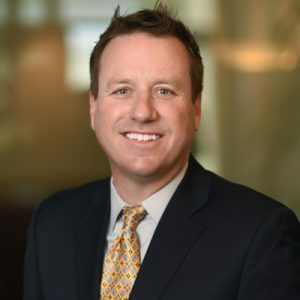 Jim brings a background of commercial lending, as a corporate controller, as an owner of a service business, and experience in real estate management and development, to assist and support his clients to make the best business decisions. 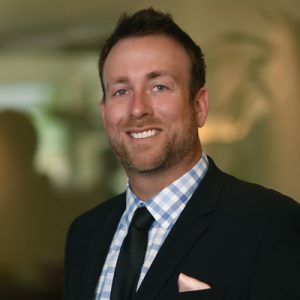 Jeff Gahagan joined Lee & Associates, Inc. in 2004 and is a Top 5 producing broker. 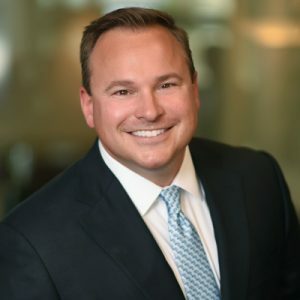 Currently, Jeff serves on the Board of Directors for Lee & Associates and his area of real estate expertise is industrial leasing, sales, and investments. 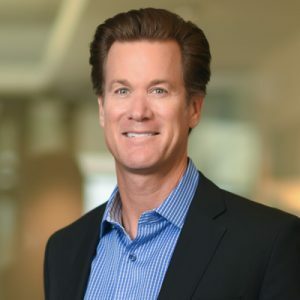 During Jeff’s career, he has been responsible for marketing over 3,000,000 square feet of industrial buildings in Orange County and Los Angeles County with an aggregate transaction volume in excess of $600+ million with over 600+ completed transactions. 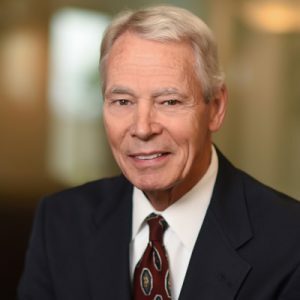 Thomas Gilmer is one of the original Founding Partners who opened the Orange office of Lee & Associates in 1982. Previously, he had worked at Ashwill-Burke before opening his own brokerage company of Gilmer Properties. 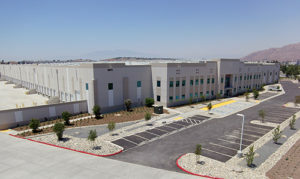 Tom Gilmer specializes in the leasing and sale of industrial buildings and business parks in a variety of markets throughout Southern California. 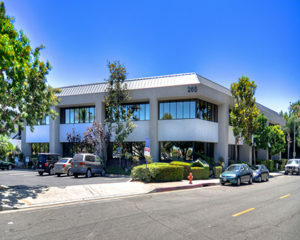 John Hatzis specializes in office and investment sale and leasing in Central and North Orange County. He has extensive experience in representing both landlords and tenants, as well as in the acquisition, marketing, and disposition of investment properties. John has completed in excess of 400 transactions over the course of his 15+ years of real estate experience. As a Principal of the Lee & Associates Orange office, Jack Haley specializes in leasing and sales of user and investment properties. 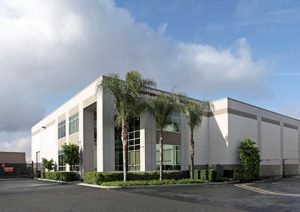 Over the past 28 years Jack has successfully completed over 1,700 Orange County transactions and represented both national and locally based companies in acquiring industrial and office facilities. Jack is consistently a Lee & Associates’ Top Producer. Over 2 Million square feet and One Hundred Million ($100,000,000.00) in transaction volume over the last 3 years. Completed over 10 nationwide (outside of California) investment sales. 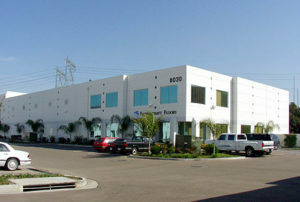 Extensive knowledge of the Orange County and Inland Empire Industrial Markets. Competitive research and marketing for users, investors, and developers of commercial properties. Jack Haley is a Certified Commercial Investment Member (CCIM). CCIMs are considered the elite of commercial real estate, sharing a set of skills that puts them far ahead of the competition. The CCIM designation is granted by the Commercial Investment Real Estate Institute (CIREI). CCIMs course topics include financial analysis for commercial real estate, commercial brokerage, advanced techniques in sales and marketing, market analysis, tax planning, decision analysis, negotiation, presentation skills, managing and marketing troubled assets, among others. 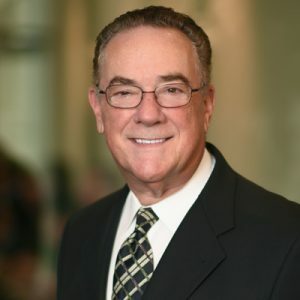 Tom Grant is a Principal / Shareholder of Lee & Associates Commercial Real Estate Services, Inc. – Orange specializing in full service commercial brokerage in Orange County and investment brokerage nationwide. Services include the exclusive listing of commercial and investment property for sale or lease on behalf of property owners and investors, investment property and portfolio acquisition on behalf private and public investors and individual and corporate tenant/buyer representation. In addition, Tom provides various consulting services, such as property valuations, sale leaseback analysis, and financing options. All services are offered in order to enhance and improve our client’s position in the market. Through integrity and authenticity, I represent and serve my clients with excellence, professionalism, and honesty. 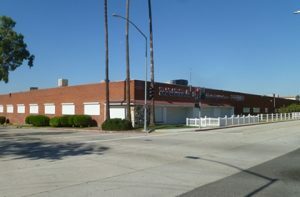 Dan has been a principal and owner of Lee & Associates for over twenty-eight (28) years specializing in owner representation and user representation of industrial properties in the Orange County Marketplace, although his client’s requirements frequently take him throughout Southern California. 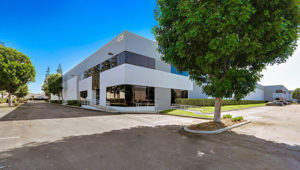 Dan has brokered hundreds of transactions encompassing virtually every industrial street in Orange County in sizes ranging from 1,200 square feet to 230,000 square feet. Dan is an Owner/Principal of Lee & Associates and a Venture Capital Partner in 29 Lee & Associates offices nationwide. Dan frequently assists clients with requirements throughout the Western United States. 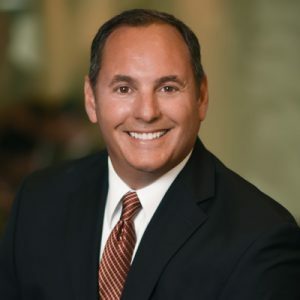 Born in Orange County, Dan attended Anaheim High School and graduated from California State University Fullerton in 1982 with a BA Degree in Business Administration with a concentration in Real Estate Finance. Recently, Dan received his certification in Marketing from the Wharton Business School, University of Pennsylvania. 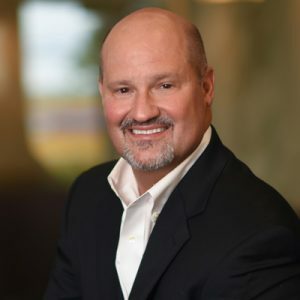 Mark Hintergardt is a principal with Lee & Associates specializes in the leasing and sale of industrial properties since he began his career in 1984, and has successfully completed over 2,300 real estate transactions to date. Mark is a Certified Commercial Investment Member (CCIM). A CCIM is an invaluable resource to the real estate owner, investor and commercial user and is among an elite corps of 4,300 professionals across North America who hold the CCIM designation – the “PhD of commercial real estate.” The CCIM designation is granted by the Commercial Investment Real Estate Institute (CIREI) and includes approximately 240 classroom hours. CCIM course topics include advanced techniques in leasing and marketing, market analysis, financial analysis, decision analysis, presentation skills, and managing and marketing troubled assets, among many others. Rob started as a broker in the Orange County and Mid Counties marketplace focusing on both Landlord/Seller and Tenant/Buyer representation. 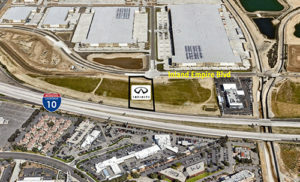 One of Rob’s recent transactions involved repositioning a client’s assets from apartments to industrial investments. 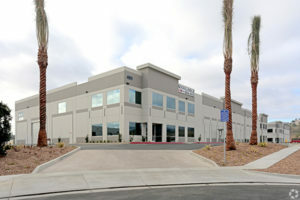 Some of Rob’s additional projects have included extending and expanding a client’s three distribution locations totaling over 200,000 square feet, to independently initiating and completing a commercial condominium conversion, as well as, various types of city interaction to assure a tenant’s use approval. He also has valuable experience in management of commercial properties, and in package preparation for financing or refinancing properties. Rob has been strongly involved with the YMCA of Orange, serving as the head of the Board, its Chief Volunteer Officer (CVO) in 2012/2013. An avid hiker, he helped establish a catalog of 20 2-hour hikes in the Orange/Villa Park/Anaheim Hills area. Rob is also very involved with family and his children’s school and extracurricular activities. His three sons all played competitive water polo. His oldest son graduated from the University of California Berkeley, and his middle son graduated from the Air Force Academy. His youngest son currently attends the University of California, Santa Barbara. With multiple transactions selling and leasing commercial properties over the past 30 years, Rob has diverse experience in the commercial real estate field that includes Seller and Landlord representation, Buyer and Tenant representation, and Investment and Business Park sales. 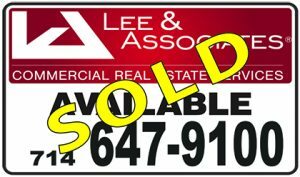 Rob has been Top Producer, after having the highest volume of transactions in the Lee & Associates – Orange office consistently over the past five years. CCIM (Certified Commercial Investment Member) This designation, presented by the Commercial Investment Real Estate Institute on June 7, 1995, after completion of courses and a final exam. Known as the “MBA of Commercial Real Estate”. Luke is a Principal at Lee & Associates – Orange, Inc. He specializes in working with industrial building buyers, sellers, landlords, tenants and investors in North Orange County and the surrounding submarkets. Luke’s work ethic, trustworthiness and love for helping others are what make him a top producer at Lee & Associates’ Orange office. He remains committed to his clients and doing what’s best for them. Prior to joining Lee & Associates, Luke was a Major League Baseball pitcher. Years of working his way up the baseball system trained him well in the importance of hard work and commitment. The competitiveness and drive that propelled his baseball career are also what make him so valuable to his clients. Additionally, Luke has established a solid reputation amongst competing brokers that enables him to get deals done for his clients and obtain market intelligence before most other brokers are aware. Throughout both careers, the one thing Luke prides himself most on is his integrity. Clients never have to doubt his motives. He simply wants what’s best for those who are trusting him with their business. David serves as a commercial real estate broker and consultant to numerous corporations in North America specializing in Tenant Representation. Clients note that David’s most important strength lies in his ability to structure, organize and develop systems that reduce occupancy costs for their portfolios of leased and owned facilities. He created a trade marked system of management called The Space Formula where it outlines his service guarantee for Tenant Representation. In addition, David is a recognized expert in areas of contract negotiations and investment analysis and is located in Orange County, California but services clients nationally. 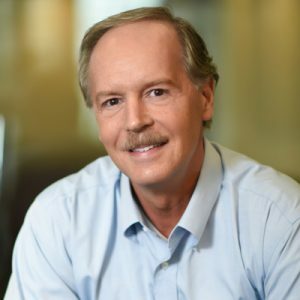 David began his career in 1985 with Howard Ecker & Company in Chicago, Illinois, where he represented tenants in both the Downtown and Suburban markets. In 1988, he moved to California to establish their West Coast operations. He joined Bayshore Partners in 1989 where he was an owner and partner for 18 years. David Newton joined Lee & Associates Orange as a Principal in 2007, due to their national presence and results driven philosophies. He has since grown under the Lee brand to include multiple agents and support staff and created the alliance brand Newton Service Team. Member, Board of Directors, Lee & Associates – Orange, Inc.
Phil Fridd joined Lee & Associates – Orange, Inc. in 2001. 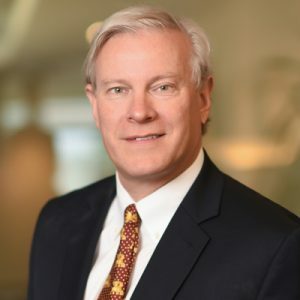 As Principal and Shareholder, his focus and responsibilities include providing strategic advisory services to a number of Lee & Associates’ local and corporate accounts. Phil has 30 years of real estate experience. 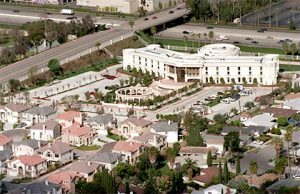 His duties include developing new business in the geographic area of Central and North Orange County. 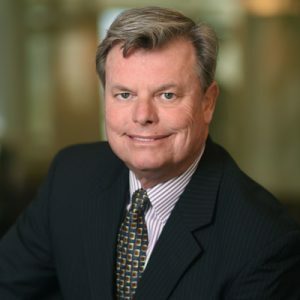 Phil has a wide variety of experience spanning Office, Retail, Land and Industrial/Commercial Brokerage as well as offering consulting services. 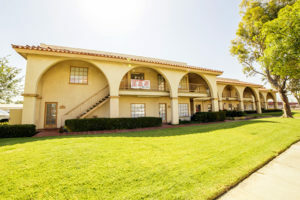 Provides general real estate services for a number of landlords and tenants throughout Los Angeles and Orange Counties. Was the local contact for many national account firms that dealt exclusively with Cushman & Wakefield. Dave Hunsaker specializes in Industrial and Commercial Real Estate sales and leasing in Orange, Los Angeles and Riverside Counties. 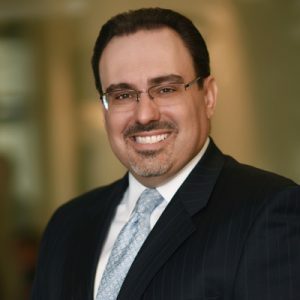 He has extensive experience in representing both property owners and users, as well as in the acquisition, marketing and disposition of investment properties and development sites. He has also provided consulting services for municipalities, corporations & family trusts. Consulting assignments have included property valuations, sale-leaseback analyses and portfolio reviews. He has been a principal and a shareholder with Lee & Associates Orange, Inc. since 1986, and a Director of the Corporation since 2002. Joel Hutak joined the Lee & Associates-Orange office in 2013. Joel launched his real estate career in 2003 with Delphi Business Properties, and during his 10 year career was a regular member of the Delphi Presidents Club which resulted in the completion of over 200 Industrial transactions, from tenant and landlord representation to investment and land sales. Joel’s unique blend of talents, gained from his previous experience, allows him to provide superior service to his clients. He has wholeheartedly dedicated himself to assisting his clients with honesty, integrity, diligence, and passion. 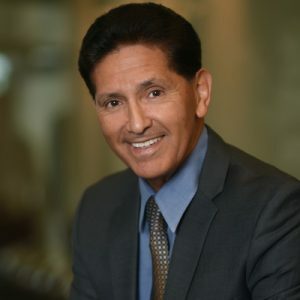 Joel, a 10 year member of the AIR Commercial Real Estate Association, has an expertise in industrial properties in Cerritos, Buena Park, La Mirada and Santa Fe Springs. He is a San Diego State University graduate with a Bachelor of Science Degree in Geology. Joel lives in South Orange County with his wife and two children. Outside of family and work, Joel likes to surf and would love to talk business over a round of golf! Bryan Miller is a Senior Vice President and Principal at Lee & Associates Commercial Real Estate Services, Inc. – Orange. 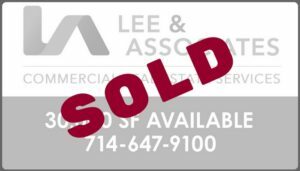 Lee & Associates (51 National Offices) is the largest regional commercial real estate brokerage firm in the Western United States. 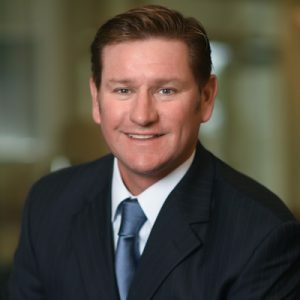 Bryan Miller joined Lee & Associates Commercial Real Estate Services, Inc. – Orange in 1986 as an associate and qualified as a Senior Vice President and Principal within three years. Bryan has been a top producer for Lee & Associates – Orange for the past 30 years with over 1,500 transactions with over $1 Billion+ in total consideration. 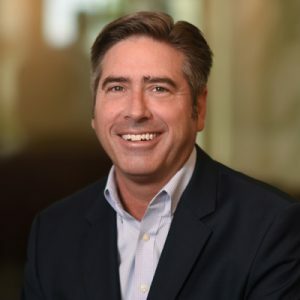 Bryan is a member of the AIR Commercial Real Estate Association and has been an active member on the Board of Director on behalf of Lee & Associates – Orange. Honors include: Lee & Associates Commercial Real Estate Services, Inc. – Orange President’s Club. Kilroy Realty Top Broker Award. Chuck Noble’s experience in commercial real estate spans over 30 years. His expertise includes sale and leasing, tenant representation, project development, and real estate consulting. He is one of the founding Principals of Lee & Associates Commercial Real Estate Services, Inc. – Orange since its establishment in 1983. 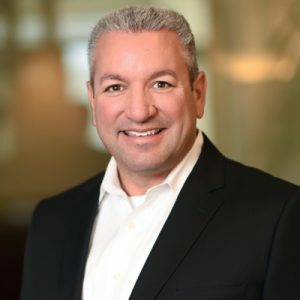 Jon Passafiume is a Principal/Shareholder of Lee & Associates Commercial Real Estate Services Inc. – Orange, specializing in full service commercial brokerage in Orange County. Jon represents clients locally as well as nationwide and specializes in the exclusive listing of commercial property for sale and lease as well as corporate tenant/buyer representation. With extensive knowledge of both the Orange County and Inland Empire industrial markets, Jon provides market research and data for investors, developers, and tenants of commercial properties to make informed decisions. Jon has managed and overseen multiple transactions for clients across the country. 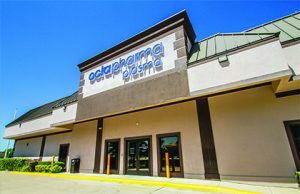 This work included both leasing and sales transactions. 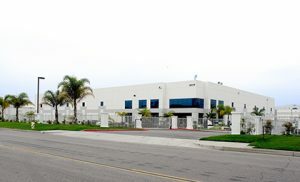 Mr. Seal, a licensed California Real Estate Broker, specializes in the sale and lease of industrial property in Orange County. He represents Sellers, landlords, Buyers and tenants on the national, regional and local levels to effectively manage their real estate needs. A former Professional Baseball Player, Mr. Seal is committed to performing at high levels, going beyond expectations and consistently delivering exceptional performance. His devotion to hard work, dedication, and integrity are the foundation of his life and successful career. 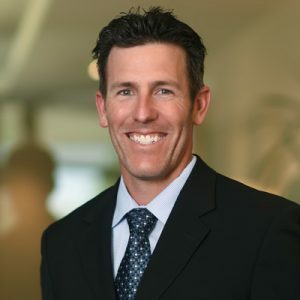 With significant time invested in the commercial real estate industry, Scott has emerged into one of the top industrial brokers in Orange County. Mr. Seal started his career as an Orange County industrial specialist in 2002. Since that time, he has been involved in over 300 lease and sale Transactions, totaling over 5M square feet with consideration of over $520M. Erik Thompson has been with Lee & Associates since 2009. 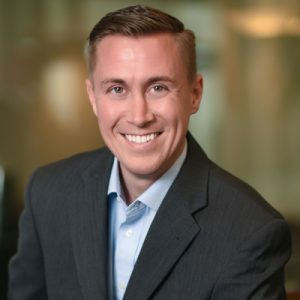 Erik assists in the strategic planning of his client’s requirement and works towards the seamless implementation of their specific goals and objectives, continually reviewing the plan to manage the process in the most time-efficient manner. The end result is that the client receives superior market knowledge and significant economic savings. Erik demonstrates enthusiasm and commitment on every assignment. His work ethic and high level of service provides his clients with the reassurance that they are being well represented. Lee & Associates’ resources, combined with the office’s in-depth research capabilities and cutting-edge technology, enables Erik to offer his clients the highest level of service in the industry. 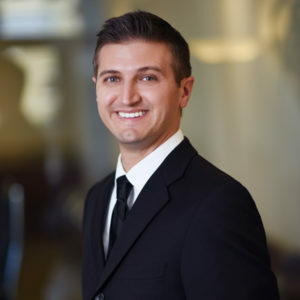 Erik’s reputation for excellence and commitment to client services has afforded him the opportunity to work with major organizations in both Landlord and Tenant transactions. Erik Thompson is a candidate for Certified Commercial Investment Member (CCIM) the industry’s most respected designation. Pacific Coast Health Systems, Inc.
Peter Sowa joined Lee and Associates as Principal in April 2013. 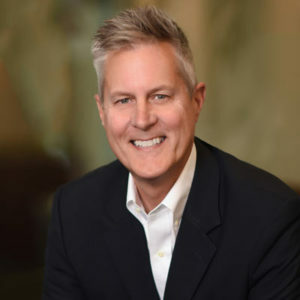 Peter began his career in real estate with Cushman and Wakefield in January 1996, handling construction management services for Cushman & Wakefield’s Southern California accounts. In June 2000, Peter transitioned to the Brokerage Services Group where he worked as part of a brokerage team completing some of the largest land sales; tenant representation and landlord representation assignments. Peter plays an active role in developing new business while representing owners and users in the sale and lease of commercial properties in the Greater Orange County/Mid-Counties markets. Pat Delaney specializes in leasing and sales of user and investment properties since 1987. Successful representation of over 1,000 real estate transactions. Certified Commercial Investment Member (CCIM) CCIMs are considered the elite of commercial real estate, sharing a set of skills that promotes them far ahead of the competition. The CCIM designation is granted by the Commercial Investment Real Estate Institute (CIREI). CCIMs course topics include financial analysis for commercial real estate, commercial brokerage, advanced techniques in leasing and marketing, market analysis, tax planning, decision analysis, negotiation, presentation skills, managing, and marketing troubled assets, among others. 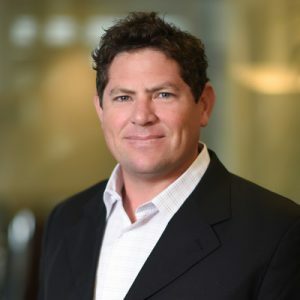 Brad Gilmer is a Principal/Shareholder of Lee & Associates – Orange, Inc. Brad specializes in industrial/flex brokerage in Orange County, Los Angeles County and Inland Empire Counties, California. 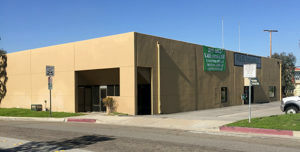 Brad’s services include the exclusive listing of industrial/flex properties for sale or lease on behalf of property owners and investors, individual company and national corporate tenant/buyer/sublease representation, industrial/flex land brokerage development, and investment property and portfolio acquisition on behalf of private and public investors. In addition, Brad provides various consulting services, such as, property valuations, sale/leaseback analysis, tenant lease renewal services, development analysis, tenant/buyer market surveys, and financing options. Jaimeson Hearne began his career at Lee & Associates-Orange, Inc. in 2013 as an office property specialist. 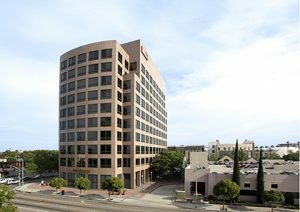 He focuses on the leasing, purchasing and selling of office space on behalf of property and business owners throughout Orange County. Jaimeson possesses a highly motivated and energetic demeanor. He looks to make his way up the ranks in the company and strives to commit himself to customer service and client relationships. An Orange County native, Jaimeson has valuable insight into the intricacies of the local real estate market. His interests and skills are uniquely suited to the challenges of a career in Commercial Real Estate. 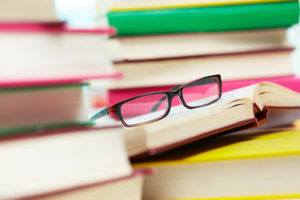 A graduate of the University of California Irvine, Jaimeson earned his Bachelor of Arts Degree in Business Administration with a specialization in Marketing. He also put his strong work ethic and competitive spirit in play on the athletic field as a member of UCI’s NCAA Division I soccer team in 2009 and 2010; all while gaining recognition on the Dean’s Honor List numerous times. Mark has worked as a commercial real estate broker for the past eleven years with building occupiers by assisting them in developing real estate solutions for their business challenges. His user-focused approach has enabled him to act as an unbiased advisor, providing business-driven real estate solutions to many Southern California based companies. Mark provides advisory services for a variety of occupier requirements such as relocation, expansion, sublease, disposition, consolidation, renegotiation, and renewal, with a specific focus on the Orange County and the Inland Empire areas of California. Mark has represented over $500 million in lease and sales transactions and has built a strong reputation by providing his clients with the highest level of service. Using his in-depth knowledge of the Southern California Office market, and creative, business-driven real estate strategies, Mark has been able to successfully complete a variety of transactions on behalf of his clients. In 2018, Mark joined the Orange office of Lee & Associates as a Principal and provides user-focused services. Mark served as a Senior Associate based in Colliers International’s Orange County office from 2011 to 2018. In addition, he was part of one of the number one leasing teams nationally for Grubb & Ellis in 2009 and 2010. Before joining Grubb & Ellis, Mark worked at Hanley Investment Group (2007-2009). Prior to his transition into brokerage, Mark worked for Harper Communities, a San Diego based office developer. 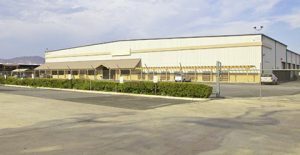 Represented Sully-Miller Contracting on over 75,000 SF of transactions including the leasing of its 25,000 SF western headquarters in Brea. 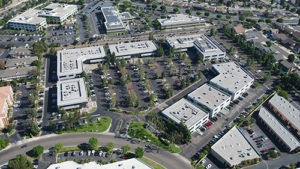 Represented Intel Corporation in its lease with The Irvine Company for its 26,000 SF Orange County headquarters as well as the consolidation of their 9,000 SF sales facility into the Irvine HQ. 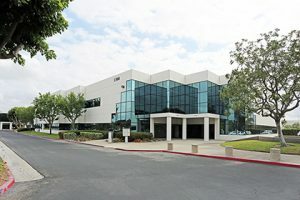 Represented Frazer, LLP on the leasing of its 20,000-square-foot Southern California headquarters in Brea. Represented CalPERS (California Public Employees’ Retirement System) in and throughout Orange County and the Inland Empire. Represented Schneider Electric USA, Inc. on numerous transactions in and throughout Southern California. Represented Gold Star Financial as a single point of contact and servicer for every office nationwide. Represented South Pacific Financial Corporation as a single point of contact & services for offices nationwide. 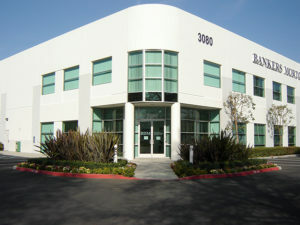 Completed over $500 million in total lease and sales consideration in and throughout Orange County and the Inland Empire. 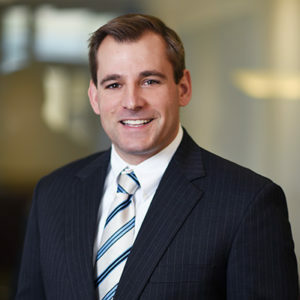 Matt is proficient in negotiating lease renewals, purchase agreements, early lease restructures and dispositions. 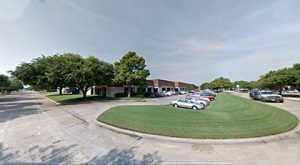 His expertise in negotiating for the end user and owner is specific to Medical Office Buildings, Retail site location, Office Headquarters and Industrial manufacturing and distribution sites. 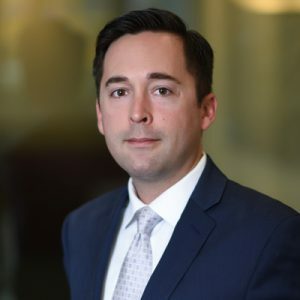 Unique to brokerage, Matt is fluent in operating expense audit language (Deloitte & Touche Audit accreditation), providing long-term protection to his clients. In administrating a 90 million square foot account, Matt witnessed first-hand, and can understand, how each clause in a lease effects his client’s bottom-line. 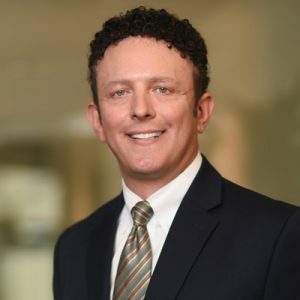 Additionally, Matt keeps abreast of the intricacies in the healthcare industry and is adept at implementing real estate strategies that reduce the total operational costs of medical groups and hospitals, large and small. The healthcare industry is changing dramatically with consolidations and reimbursement cuts. He is one of the founding brokers of the Healthcare Advisory Group of the Lee & Associates-Orange office. Bob has over 35 years experience in commercial real estate, from developing small industrial buildings for sale and multi-tenant parks for lease, to being a broker, leasing and selling office and industrial properties in the North Orange County market. After 15 years at CB Richard Ellis he joined Lee & Associates in 1998 and has been a consistent Top producer. 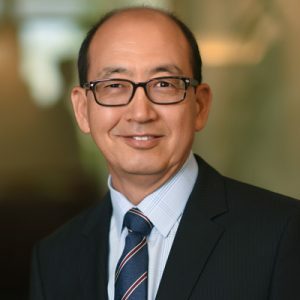 His community and civic involvement include being president and board member of organizations such as the Rotary Club of Fullerton and the Executive Council of the College of Business at Cal State Fullerton. 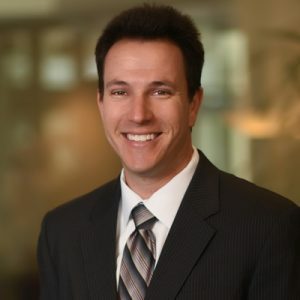 As an Orange County native, he provides valuable and credible local market knowledge for investors, developers, owners, and tenants of commercial real estate, Matt Slezak found his place at Lee & Associates Orange. He specializes in sale and lease transactions of industrial, flex and investment properties. Matt epitomizes an industrious work ethic with each strategic real estate requirement, no matter the size of space, to offer excellent service, integrity, and professionalism, ensuring every client a smooth and timely experience from the ground up. 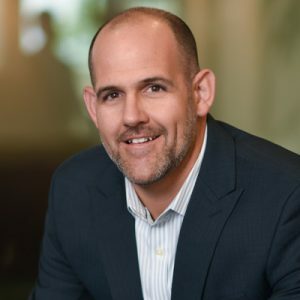 As a graduate of the University of Southern California from the Marshall School of Business, Matt earned his Bachelor of Science degree in Business Administration with an emphasis in Entrepreneurship. With an entrepreneurial mindset and understanding of owners, he enjoys building relationships and helping businesses thrive. 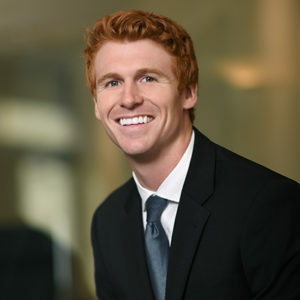 After his graduation from college, Matt worked as an Associate for a boutique commercial real estate company in Newport Beach negotiating lease services. 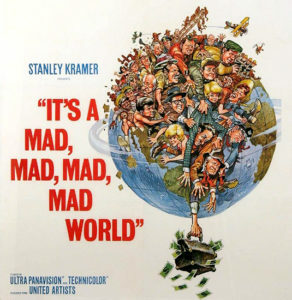 Thereafter, he served within the mortgage banking industry as a Manager of Corporate Development and Marketing for the Jayco Capital Group and Director of Marketing for Griffith Capital in Orange County. 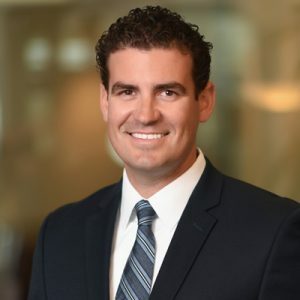 Prior to joining Lee & Associates, Matt worked in a sales and marketing position, rediscovering his interest in commercial real estate as he helped the company relocate and expand their business in Southern California. 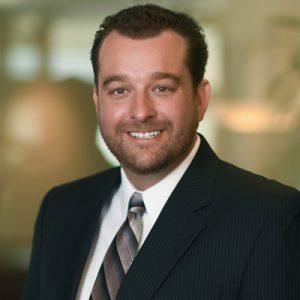 Trent Shirk is an Associate with Lee & Associates Commercial Real Estate Services, Inc.-Orange specializing in full-service commercial brokerage in the Corona and North Orange County markets. Trent specialties include user representation, owner representation, and investment sales. By using his extensive experience in manufacturing facilities, distribution/service centers, showroom buildings, and office/warehouse facilities, Trent helps his clients confidently evaluate their real estate options and choose a strategy that best aligns with their company goals. In 2008, Trent’s commercial real estate career began by working at the corporate office of Lee & Associates as an Executive Coordinator. This role focused on operations, branding, and the expansion of new Lee offices nationwide. This experience allowed Trent to develop relationships with Lee & Associates personnel, on a national level. In 2012, Trent began working as an Associate in the Lee & Associates Riverside, CA office. In 2013, Trent joined his family’s commercial interiors business, Rodenbeck. As a Sales Associate, Trent represented manufacturers of commercial office furniture. 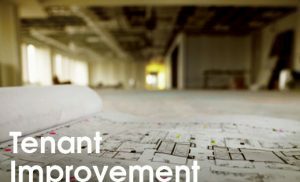 This provided a great deal of experience working with manufacturing facilities, warehousing & distribution, commercial interior design, marketing, and management. In 2018, Trent returned to Lee & Associates and joined the Orange, CA office as an Industrial broker, bringing with him a wide range of experience in commercial real estate and commercial office interiors. 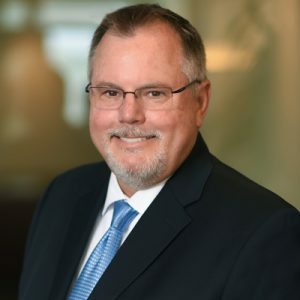 Doug Himes has over 32 years’ experience in the marketing, sale and leasing of industrial and investment properties for over $20 million in sales. He is well known in the industrial market, where he has completed over 10,000,000 square feet in real estate transactions. His success in finding the right property for his clients stems from negotiating the best deals and putting together the right team to close the deal, and is unparalleled in the brokerage business. Ryan is a licensed California Real Estate Broker at Lee & Associates Commercial Real Estate Services, Inc. – Orange. Ryan specializes in the North Orange County industrial market and represents sellers, landlords, investors, buyers, and tenants. Ryan is part of the Seal, Hudson, Magarian team which has completed more than 6 million square feet of transactions. 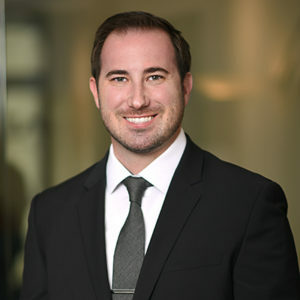 Ryan joined Lee & Associates in July 2018. Prior to joining, Ryan completed three summer internships at fortune 500 companies while pursuing his bachelor’s degree. In the summer of 2017, Ryan was a financial analyst intern at Johnson & Johnson where his role involved Research and Development product valuation and capital expenditure management. In the summers of 2015 and 2016, Ryan interned as an internal audit analyst at Republic Services – a publicly traded waste management firm. 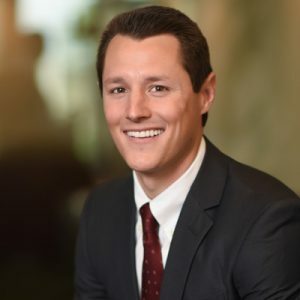 Ryan graduated from the University of Southern California in 2018 with a Bachelor of Science degree in Business Administration with an emphasis in finance. 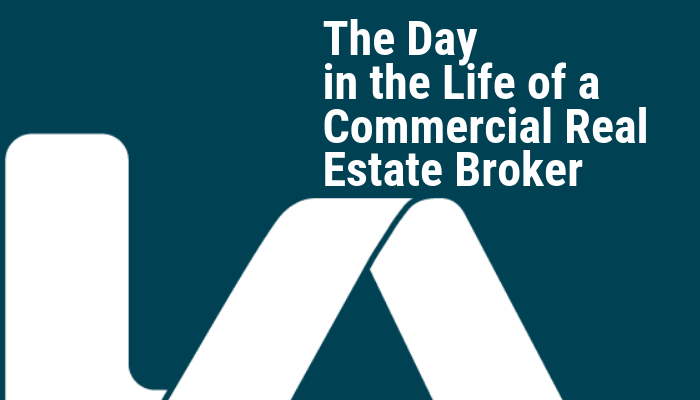 Question #1: When did you decide that you wanted to be a commercial real estate broker? Question #2: What made you interested in joining Lee & Associates, Orange? Question #4: Where do you want to be in 5 years? Question#5: What is your favorite quote? 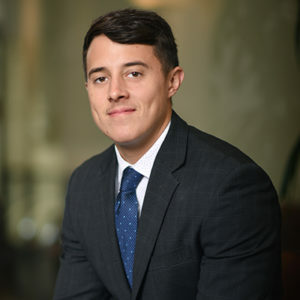 Connor Howland began his career at Lee & Associates-Orange, Inc. in July 2018 as an industrial warehouse specialist. He focuses on the leasing, purchasing and selling of industrial buildings on behalf of property and business owners throughout the Mid-Counties. He is a driven and motivated individual who is looking to begin a successful career in the commercial real estate business. A southern California native, Connor grew up in Corona and graduated from Norco High School. 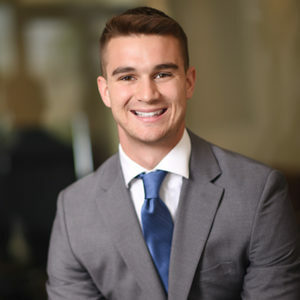 As a senior in college, Connor realized he wanted to become a commercial real estate broker after working as an intern at a brokerage firm in Irvine. Connor is working as part of the Destino Industrial team with his mentor, Christopher Destino, and is excited to bring value and resources to his clients as his career moves along. 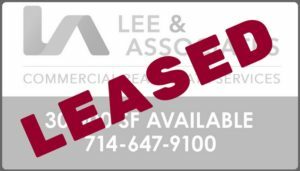 July 2018-Present: Lee & Associates-Orange, Inc.
Robert Degen joined Lee & Associates-Orange, Inc. in July 2018 under the guidance of Marshal Vogt, Matt Orville, and Jaimeson Hearne. He focuses on the leasing, purchasing and selling of office space on behalf of property and business owners throughout Orange County. Robert began his career at Lee & Associates with a highly motivated and energetic demeanor. He looks to make his way up the ranks in the company and strives to commit himself to customer service and client relationships. As the newest member of the Office Advisory Group, Robert Degen specializes in representing Owners and Tenants with their office real estate requirements. Robert brings with him enthusiasm and commitment to every assignment. While a student at Chapman, Rob competed on the athletic field as a member of Chapman’s Division 3 baseball and football teams in 2014-2015 and later joined the fraternity of Phi Gamma Delta. Chapman University (2018) ~ Bachelor of Science Degree, Business Administration with a Minor in Political Science. Rob: The reason I joined Lee & Associates – Orange is because I loved the team atmosphere and environment. Everyone in the office has been very open to answer questions and provide advice whenever it is needed. Joshua K. Harper joined Lee and Associates, Inc- Orange in early 2014 after 2 years in the Transportation and Logistics business with J.B. Hunt Transport, Inc. Mr. Harper, who is both Mr. Buchanan’s Marketing Associate and son-in-law, will focus his attention alongside Mr. Buchanan specializing in user representation, owner representation, and investment sales. Member of the Association of Industrial Realtors (AIR). 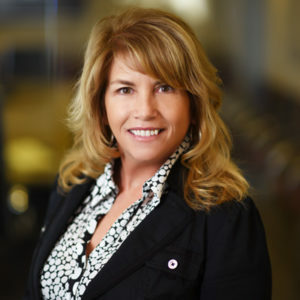 Cindy Sinon is a real estate professional with 16 years of commercial real estate experience. 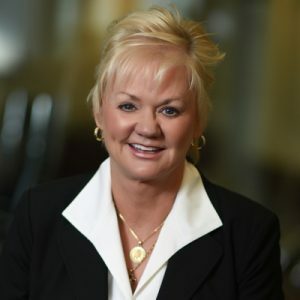 Cindy joined the Newton Service Team in early 2007, to continue to provide exemplary real estate service to clients nationwide. 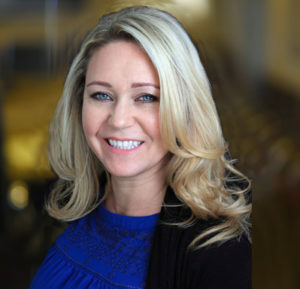 Her real estate experience began in 2003 as a Leasing Consultant for the Irvine Company, the largest landlord in Orange County, California. Prior to that experience, Cindy’s focus was in advertising and marketing in architectural and interior design industries. 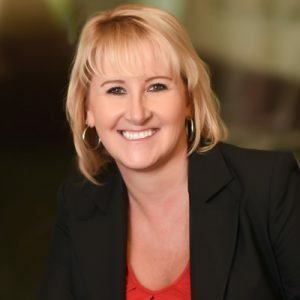 As an integral part of the Newton Service Team, Cindy provides Corporate real estate clients, local and nationally, financial analysis, comprehensive market analysis and market research. 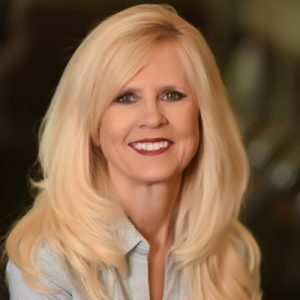 Cindy also works directly with clients and manages the sale transactions of real estate portfolios. 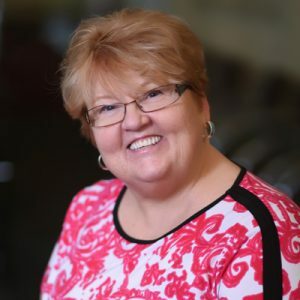 Cindy’s acute attention to detail, organizational skills, timeliness in responding to client needs, precision and attention to detail on recent transactions has resulted in tremendous client satisfaction. Cindy graduated from California State University, Fullerton with a BA Degree in Business Administration with a concentration in Marketing.